Skeeter Boats | About Us. Holmes Thurmond built the first Skeeter in 1948. Since then, we've been setting the standard, raising the bar, and leaving the rest of the boating industry in the wake of our innovation. 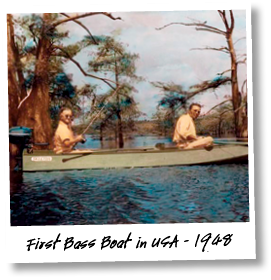 In 1948, the first Skeeter Bass Boat was built by Holmes Thurman in Shreveport, LA. It was just over 13-feet long, made of molded marine plywood with a flat bottom and tumblehome side decks. The boats were named Skeeter because their long, needle-shaped nose resembled a mosquito. 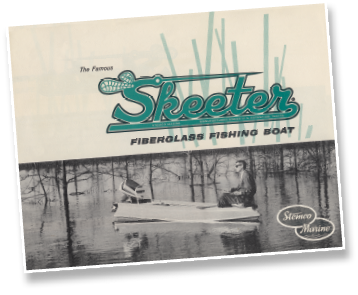 Skeeter became one of the first innovators to use fiberglass in boat construction. Fiberglass made it possible for more sizes and styles to be produced in much larger numbers. Throughout the South, many of these early models are still in use today by avid Skeeter fishermen. In 1961, Ben Cook moved the Skeeter plant from Marshall to a bigger operation in Longview, Texas. Skeeter Marine began. During this period, the first fiberglass boats were built, and stick steering was developed to control the longer 15-foot Super Skeeter and Skeeter Magnum Boats. The need for bigger boats, larger horsepower, and more control at high speeds were met with the introduction of a series of tri-hulls in the mid-’60s. Skeeter expanded operations to the company’s current plant site in Kilgore, Texas. 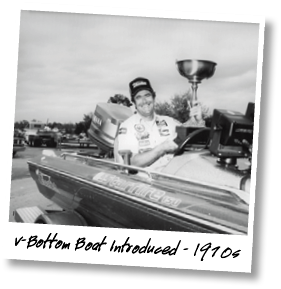 In 1975, we introduced a 150-horsepower, V-bottom bass boat called the Wrangler, a popular model on the fledgling bass circuits. In 1983, the Coleman Company, famous for its camping equipment, purchased Skeeter, and the Fish ‘n’ Ski series was launched. Skeeter also introduced the first SX model. Despite an economic recession growing at the end of the decade, Skeeter’s future remained bright with recognized hull designs that continued to lead the industry. Skeeter introduced the ZX series of bass boats, incorporating advanced-hull designs and modern styling. Tournament bass fishing was booming in the early ’90s throughout the South, while walleye tournaments were being introduced for the first time in the North. Walleye-tournament anglers needed a new kind of boat to take on the huge bodies of water in the northern United States. Skeeter responded by developing a line of deep-V boats. In 1994, Skeeter’s most popular Walleye model took the triple crown of Angler of the Year in all three major walleye professional tour circuits. Skeeter also launched the company’s first saltwater-specific boats, the high-performance, center-console Bay pro series. The introduction of Skeeter’s biggest bass boats yet, the 20-foot 200ZX, soon followed. In 1995, the demand for boats to run faster and more efficiently through the water with more tackle, gear, fuel and batteries than ever before was met with the addition of a 21-foot 300ZX to accommodate high-output 200- and 225-horsepower motors. Completing the product line, Skeeter introduced a 19-foot version, the 190ZX, and a popular 18 footer, the 150ZX. Using aerospace technology and modern computer software, Skeeter introduced the ZX202 in the mid-‘90s, one of the first composite boats available in the United States. An all-new SX product line was also introduced in the late 1990s, which brought the basic ZX design into entry-level and mid-range priced boats. Customers had more than 35 new models to choose from throughout the mid ’90s, fitting the needs of all levels of anglers. In 1996 Yamaha Outboards acquired Skeeter. Teaming up with the most technologically advanced outboard engine company in the world brought new resources and advancements to Skeeter’s product line. 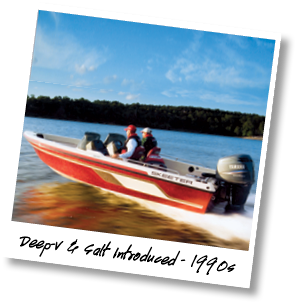 In 1998, Skeeter celebrated 50 years as a bass boat company. Skeeter brought out new hull designs and graphics for the all-new ZX202 and ZX185, and a new ZX Big Water/Deep-V line was introduced for the saltwater market. In 2001, a new Torque Transfer Transom and Stringer System was introduced on the ZX bass boat models, setting a new industry standard for modern boat construction. This unique system transfers the vertical torque and energy from the engine to the stringer system in the bottom of the boat, virtually eliminating stress on the transom, deck and hull sides, while providing lift along the entire keel of the boat. In 2006 Skeeter launched the i-Class series with cutting-edge modular consoles, improved comfort and fishability, and the new Digital Multifunctional System, which permits control of all onboard systems with the use of touch keypads.